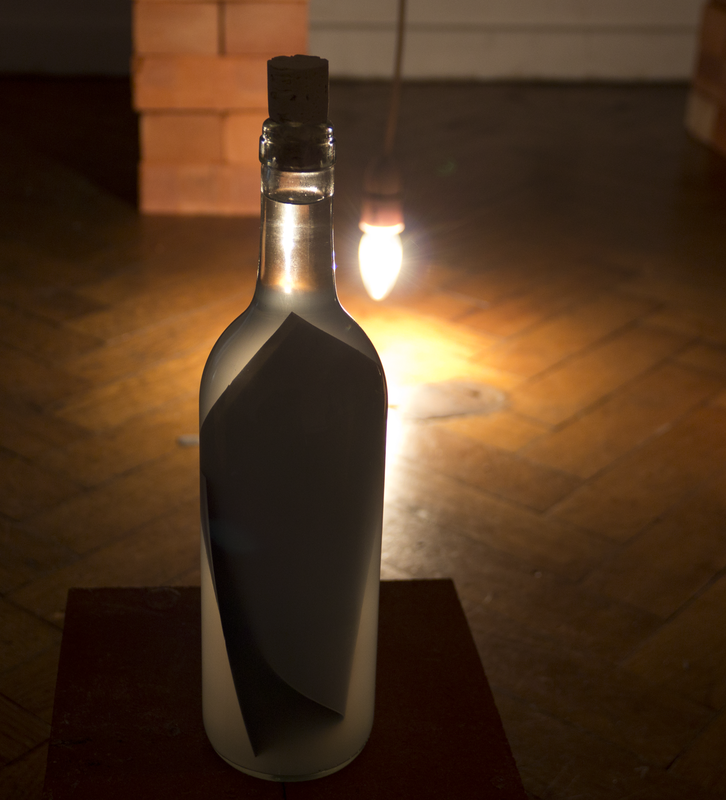 Water, glass bottles, photographs, bricks and bulb. 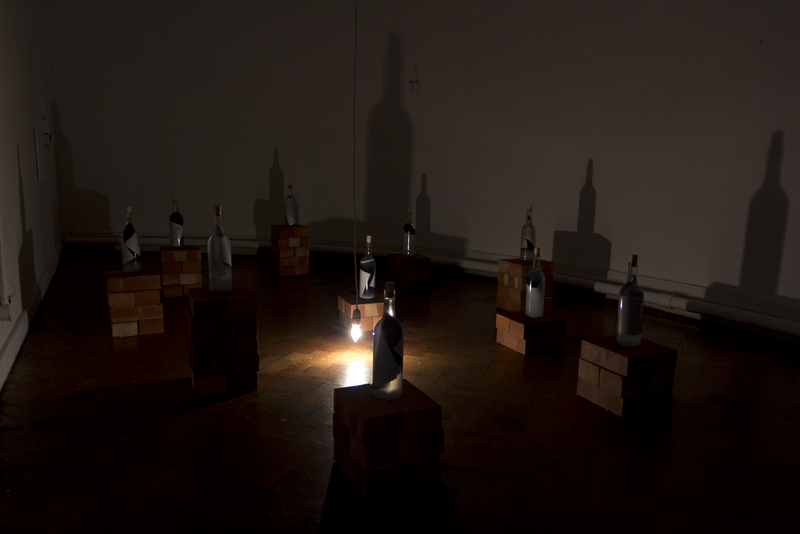 Water, 12 glass bottles, 12 photographs, bricks and bulb. It’s the metamorphosis of images submerged in water. This physically generates a decomposition of the image which then pigments the water. This chemical reaction begins a poetic evolution from an under exposed image (black). It creates atmospheres in the water which makes visible the passing of time transparent, clear, colourful and then obscure and dark mixes of colours. 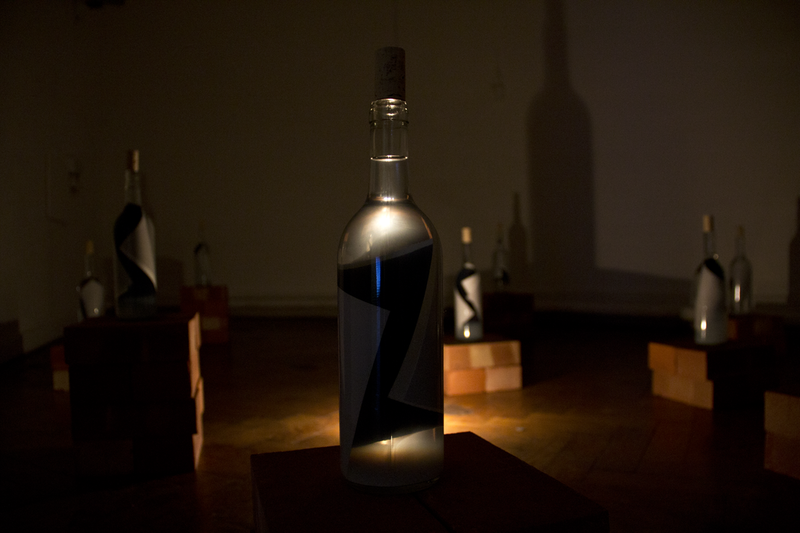 A light hanging from the ceiling as a pendulum generates shadows that move in the space. This installation process last for 25 days until the water is dark and the photograph gets hidden in it.